Leese has mainly worked in transactional sales environments, with entry-level salespeople, most of whom have less than two years of experience. 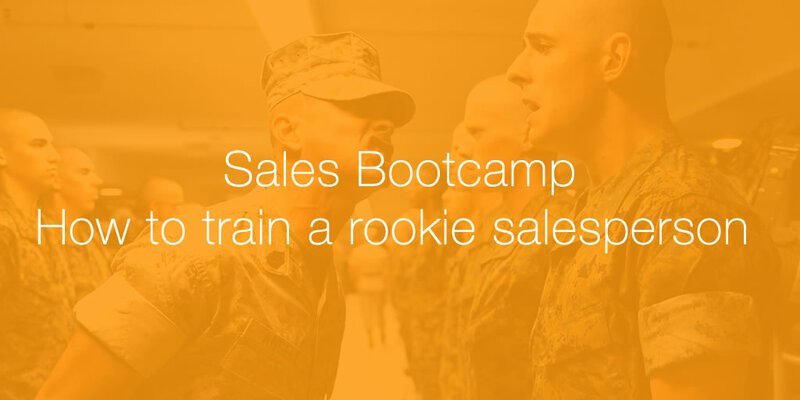 A sales bootcamp if you please. Leese tries to create an environment where people in their first or second sales role can develop personally and professionally. That doesn’t mean they get an easy ride. That means lots of rehearsal, role play and practice. There’s also homework, whether that’s listing the top three things you learnt today or listening to calls from veteran salespeople and figuring out what they do differently. Only after the salesperson has demonstrated the value – why the prospect should care about the problem – will that prospect be receptive to hearing about the solution. When Leese works with a new startup he figures out the perfect sales pitch for their product and then teaches that script to the rest of the team. Leese likens this to calling plays and having the sales team run them. The same basic flow needs to happen in every call. A sales floor of 20 or 50 or 100 people can’t function efficiently if everybody is saying something different. But that still leaves plenty of space for individual interpretation.